Monumental. Immersive. Dramatically Transform. Highly Anticipated. Major Departure. When so much PR is dispensing “pleased to announce” pleasantries, its almost fresh reading dramatic affirmations, making claims. BIG THINGS. Sure it’s easy assigning adjectives to spectacle, and it falls off when it attempts some connotative subtly, but we should strive for this level of stake claiming. Surely this thing is covered in bugs, and yellowing. Let’s mention that. What is the real significance of this work, other than the massive production of it. Its now reduced to this documentation. A giant sugar wasteland. But I guess you need to burn something in effigy to make the monumental homage carry some token of worth. Walker couldn’t do silhouettes forever, but one would wish for the first lighting-strike of the panoramas, giant narrative rorschachs of black and white. 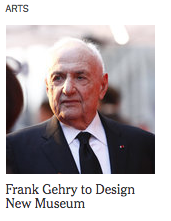 The Irony, or entendre, of calling it a “subtlety” doesn't make the hamfistedness any more platable. 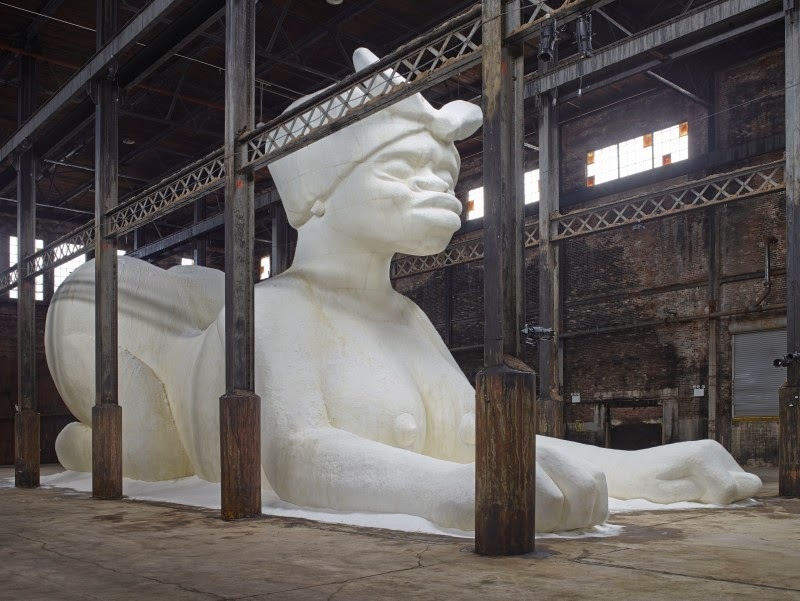 At the behest of Creative Time Kara E. Walker Has Confected: A Subtlety Or the Marvelous Sugar Baby an Homage to the unpaid and overworked Artisans who have refined our Sweet tastes from the cane fields to the Kitchens of the New World on the Occasion of the demolition of the Domino Sugar Refining Plant.